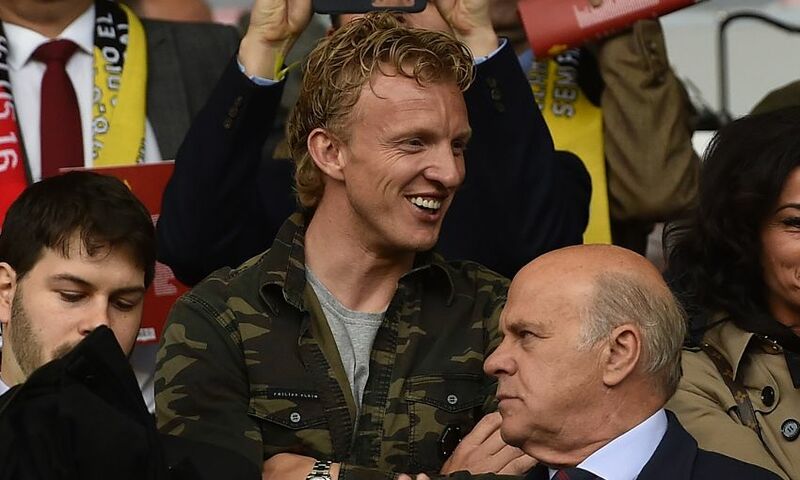 Dirk Kuyt senses hope has turned to belief at Liverpool. The former Reds forward returned to Anfield on Wednesday night to see his old club impress in beating Red Star Belgrade 4-0 to move top of Group C in the Champions League. In the Premier League, meanwhile, Jürgen Klopp’s team are unbeaten in their opening nine games and only reigning champions Manchester City can match their tally of 23 points. 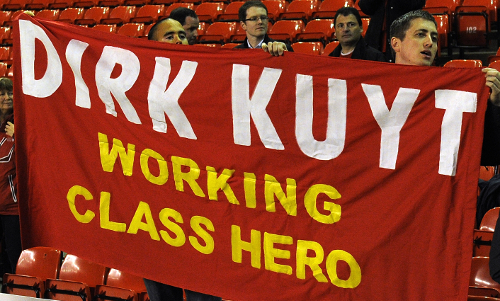 Kuyt, who scored 71 goals in 285 appearances during six seasons with the club, was part of the Liverpool side that fell narrowly short of winning the title in 2008-09. He later concluded his career in fairytale fashion by scoring a hat-trick to seal the Eredivisie championship for Feyenoord in May 2017. Liverpool are top of their Champions League group at the halfway point. What advice would you have for the players for the remaining games to get over the line? It’s a very tough group. Liverpool started really well with a very good result against Paris Saint-Germain. You know Napoli are always a team to consider as well, a difficult team to play against with some very good players. Paris Saint-Germain know that now as well after the draw – maybe unexpected for many people but not for me because I think they are the most dangerous team in the group stage. But the lads have to look at themselves and take one step at a time, that’s how it goes. I had a chat with Virgil and Gini on Wednesday after the game and I congratulated them on their form because I think they are doing really well. I was also in the stadium when they played against Germany with Holland; also there they are the most important players and they have to keep going now because this is just the start. Everyone can see the quality in the Liverpool squad and also in the depth – there are not only 11 very good players, they have a very good squad this year. It’s going to be a very long season because I’m expecting they will survive the group stage of the Champions League and I expect them to challenge until the last days for the league as well. That will be very tough. Mentally, the team needs to be very strong. If you see the quality in the team, there is more than enough quality to go for those chances but there’s still a long way. It means working hard every day and take one step at a time. Now, the most important thing is the game on Saturday; get the points and take it on from there. For the Champions League I’m very confident. Champions League nights at Anfield are very special and very difficult for whatever team comes to Anfield to beat the home side because the crowd is amazing and it’s almost not possible to play a bad game when you play on a Champions League night at Anfield. Wednesday was the same; Gini and Virgil said they struggled a little bit at the beginning and the crowd started to get behind the team. In four or five minutes the game changed and was actually decided. That’s a big strength of Liverpool and they have to use it. As long as they can win their home games, I’m very confident they can survive the group stage. With it being so close, fans start to look ahead and think about the points Liverpool can get and try to plot a journey through the group. Can players do that? No, I think that’s something you have to leave to the supporters, to look ahead at the games and count. In sport, there’s no time to count. There’s always the next game; these days in football there’s a new game every three or four days and you have to be prepared because in one step you can lose everything. To go to the next stage and be successful, the difference is the small details. That’s why the players always need to keep focused on the job, work hard and be ready in the games they have to play. It’s amazing. I talked to him on Wednesday after the game – he is such a nice guy. Everybody can see when they are watching in the stadium or on television that he is a great player; not everyone can see he is a very nice person who is very happy at Anfield at the moment. That’s the most important thing: that he feels respected and that he feels happy at Liverpool Football Club. That’s why he is achieving those kinds of things. Everyone knows he is a fantastic player. The fact he is here, that he is respected and that he is happy counts even more. Hopefully he will be happy for a very long time here. Wednesday was the first time I met him in person; I respected him already as a player but as a human even more now. What do you think has enabled him to be as prolific as he has been? The partnership between Mane, Firmino and Mo makes the difference. Mo is very happy with Firmino, he is the type of striker who doesn’t live by goals – he lives by playing football, winning games and winning together. That has made it a pleasure for Mo to play with these kinds of players, who are not selfish and who know how to bring Salah into positions to score. On Wednesday I saw him for the first time playing in a different kind of role, more as a central striker, and again he did very well. It’s all because of that connection, especially with the players up front who know what to do and know in which kinds of positions they need to bring Salah. He made a great goal and also a good penalty. There’s a lot of excitement around the club about the team challenging in the Premier League this season. You have won titles before – what do you need to get over the line? When I arrived at Liverpool there was a hope to win the league. Now that hope is changing and people start to believe Liverpool can win the league. That’s what football is all about: that you believe in the success you can have with your team. The supporters are starting to believe it’s possible to win the league again. It’s a long way but that’s the first step. You have to believe you can do it. With Feyenoord we had the same situation, a little bit shorter but for 18 years we didn’t win the league title. From the first day we started the competition we believed in winning the league and that’s what I felt on Wednesday – that people are not hoping for success but believing in success for Liverpool. That’s a massive step forward. You were part of the team that challenged 10 years ago. Does it feel different now? Yes. The squad is very big with very good players. They only have 11 positions to fill in every game. 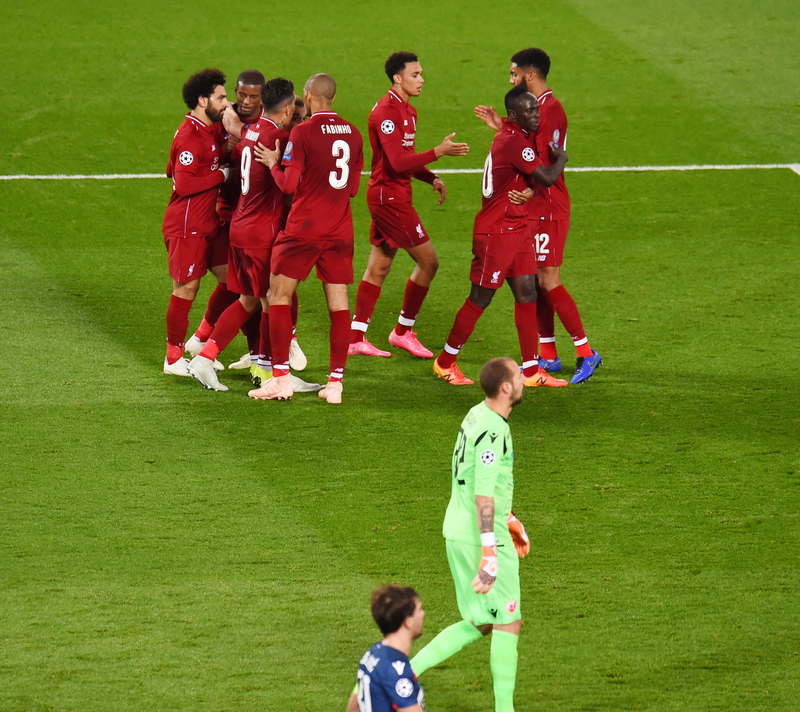 Fabinho made a great game on Wednesday, James Milner didn’t even have to come onto the pitch, [Jordan] Henderson has an injury but is a very important figure in the team, the captain. Even more players were not there but it was still a very good squad. When we challenged for the league we were just one step behind. I remember when we finished second with Rafa; I believed if we could bring in a couple more players – like Liverpool did this season – we could do it and win the league. We couldn’t do it at the time but now you have the squad you need to fight until the end. If the team keep believing and working hard every day they have a great chance to be successful. This weekend it’s Cardiff, one of the teams at the wrong end of the table. How do you deal with these games as a player after a Champions League game in midweek? In my first season at Feyenoord we didn’t become champions. We had a great season and beat all the big teams, but we got beat by these kinds of teams. It’s a mental thing. You win the game on Wednesday 4-0 and everybody is happy and positive but you have to move on to the next game. Most of the time, these kinds of games are mental; everybody says it will be an easy game and suddenly it starts to get difficult. The focus needs to be on the game on Saturday. We were talking about the Champions League, how to survive and how many points to get into the next stage but that’s not important for the players and the staff. They need to think about the next game and that’s Cardiff, a very difficult game. I always said you can call games easy after the match but never before. How excited are you about this team? I still feel like one of us. The excitement I get from inside is when I come here with my family and my kids, I get so much respect from the supporters. So I still feel like one of us. These people deserve success. They are always behind the club, in good days and bad days, on and off the pitch. It’s amazing and it’s the greatest power of this football club. They deserve success and I’m sure from what I can see that the players and staff and working so hard every day to come to this success. I hope it will be this season, I have a great belief they can do it. It’s a long season and we will see what happens. Finally, in terms of yourself, you’re coaching now. How are you finding the transition after hanging up your boots? I feel blessed that I had a great career of 20 years in professional football. I am blessed to have played six years for Liverpool. It was good for me to finish by winning the league with my home team from Holland and to score a hat-trick in that match. That was it for me. I’m very satisfied and happy with the time I had on the pitch and now I’m looking forward to a new career. I want to stay in football. These days I’m coaching the U19s at Feyenoord and I’m really enjoying working with the great talents of our academy. I’m looking forward to the future; I want to stay involved in football for sure, but in what kind of way, I need to experience. I want to be a coach in the future but if I want to be a coach, I want to be a good one.